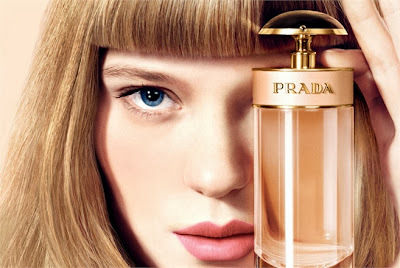 Prada Candy L'Eau - 80ml EDT - $110, 30ml EDT - $62 - a playful and seductive scent with top notes of Sicilian mandarin and organic lemon; afloral heart of sweet pea; and base notes of white musks, benzoin and caramel. I was already a fan of the original Candy but the addition of the citrus notes to this version makes it even more of a winner for me! Available at The Bay, Holt Renfrew, Ogilvy, Murale and select Shoppers Drug Mart stores (30ml exclusive to SDM). of course it's not a real fragrance unless it has a cool commercial and this one is hilarious (and kinda dirty)! I really want to get my hands on this perfume, even though I have yet to smell it. Maybe I'm that easily influenced by the commercial!